Carrot isn’t just for chomping on while on a diet or a key ingredient in carrot cake. The oil from the carrot seeds also plays an important role in hair care. Most people are used to carrots that are orange but did you know there are other varieties that produce purple, yellow, white, and red carrots? Carrot oil (aka carrot seed oil) is obtained from the dried seeds of the carrot via steam distillation. This method ensures the oil retains all of its nutrients. Though the oil is obtained from the seeds, other parts of the plant can be used to produce oil as well. 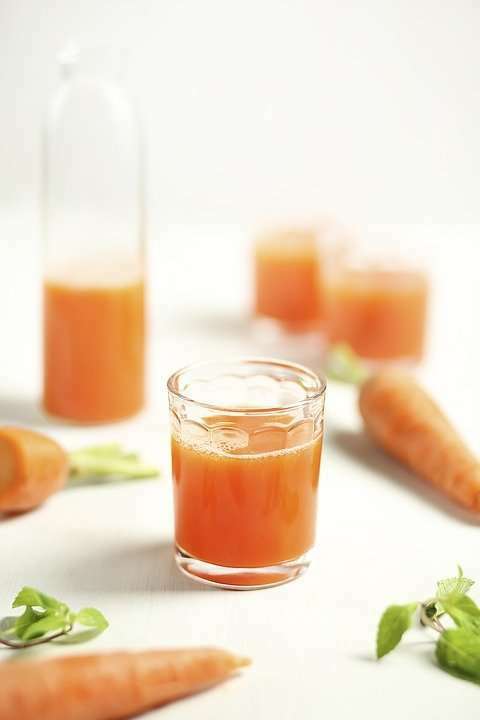 Carrot oil can also be produced by macerating, boiling and infusing carrots in a carrier oil. An upcoming article will share how to DIY carrot oil if you’re keen on trying it out at home. Carrot oil contains high levels of beta-carotene. This is one of its best attributes. Depending on which part of the plant is used, it may also contain vitamins A, C, E, K, and potassium. Authentic carrot oil is a yellow/amber color with an earthy odor. The nutrients in carrot oil help hair retain moisture, strengthen hair from the roots, prevent split ends and promote shiny hair. What Are the Benefits of Carrot Oil for Hair? The beta-carotene content in carrot oil, a precursor for vitamin A, which strengthens weak hair and promotes a healthy scalp. A healthy dose of beta-carotene also promotes hair growth. Over time, expect carrot oil to eliminate breakage completely. Still on the beta-carotene content of carrot oil, it prevents split ends by protecting the hair from factors that lead to split ends such as dryness and exposure to the elements. Blended with the right natural oils like rosehip oil, pumpkin seed oil and coconut oil, carrot oil can help nourish and condition the hair and scalp while also promoting hair growth. 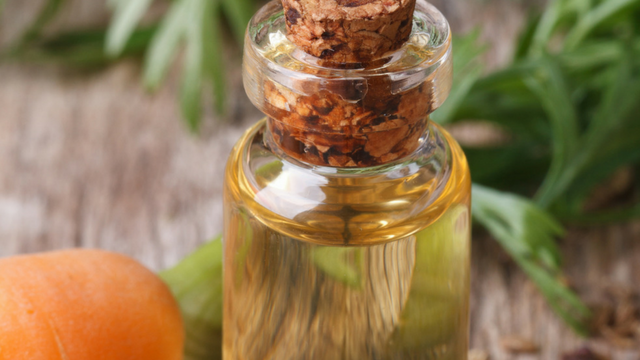 Mix the carrot oil, rosehip seed oil, and pumpkin seed oil together and heat over a bowl of boiling water. Apply to clean hair and scalp. Massage in thoroughly until you feel like your scalp is heated. Layer any creamy moisturizing conditioner you have on hand over the oil treatment. Massage into hair again. When every strand is thoroughly coated, pin up your hair and sit under a hair steamer for 30 – 45 minutes. Rinse out and say hello to soft and moisturized hair. If your hair feels greasy, reduce the pumpkin seed oil the next time you use the treatment. With repeated treatments, expect your hair to grow stronger, reduction in split ends and elimination of breakage. Mix all the ingredients together and heat over a bowl of hot water. Section your hair into smaller parts and apply the oil mix directly to your scalp. Make sure every part of your scalp area is covered. Massage your scalp thoroughly with these tips then cover your hair with a shower cap for up to an hour. You can also sit under a hair dryer for about 15 minutes. Follow up with a mild shampoo and deep condition afterward. You can repeat this treatment once a week while you can massage the oil mix into your scalp every few days and leave in. If you usually like to add essential oils to everything, lavender essential oil, neroli essential oil and ylang-ylang essential oil work well with carrot oil/products. 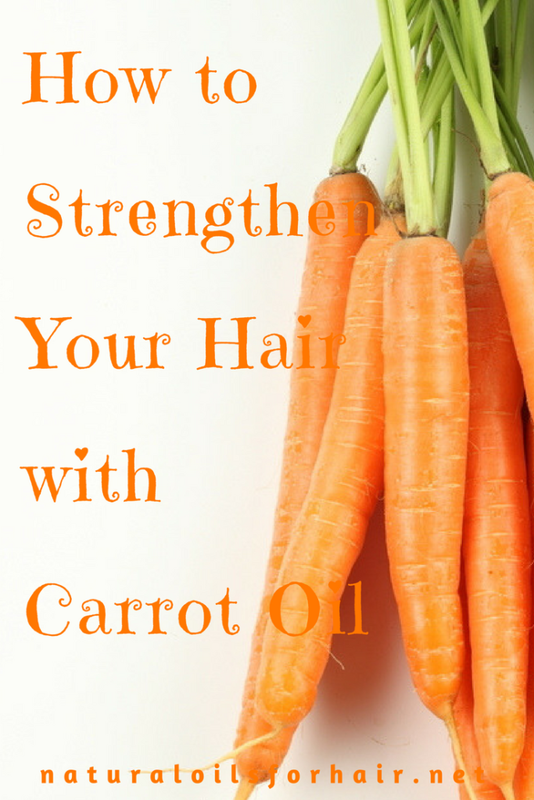 Use carrot oil in moderation as too much of it can lead to greasy hair. Can Carrot Oil Help Hair Grow? Yes, carrot oil can help hair grow. It’s one of the oils that’s featured in the hair loss chapter in How to Grow Your Hair Healthy and Long with Natural Oils. Use the oil mix recommended in the hot oil treatment above or mix and match with other recommended oils from the hair loss archives. When it comes to recovering from hair loss, you should definitely include carrot oil in your hair care regimen. 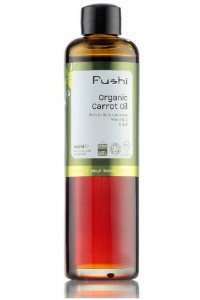 A great selection of carrot oil includes Fushi Wellbeing Organic Carrot Oil, Shea Terra Organics Carrot Seed Oil, Leven Rose Carrot Seed Oil and Poppy Austin Carrot Seed Oil. If you’re interested in learning more about natural oils and how to use them for specific purposes to achieve optimal length and health, have a look at How to Grow Your Hair Healthy & Long with Natural Oils, a comprehensive guide about natural oils. Available in Kindle & paperback format. Subscribers get up to 30% off. Check it out HERE.